New blog layout + New Shoppe layout = Giveaway!! Sign me up!! I decided it was time to give Textile House a face lift. I'm not sure if this look is the final look but I'm letting it grow on me. It seems that I'm not the only one giving my home on the web face lifts either. For those that don't know my sister, Brenda is also a blogger as well as a quilt shop owner and she has revamped her corner of the web. To celebrate she is giving away a Kit to make this cute Wooly. This piece was featured in her latest ad in American Patchwork and Quilting and is a cute little thing!! If I were to win it I would have to tell her to make it for me because I am not as gifted as she is when it comes to applique and getting the details right. She makes these amazing cubicle enhancers! (our term for wall hangings since we take them to the office to pretty up our space). 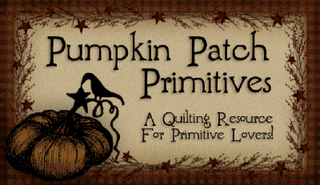 Anyway, don't miss out on the give away and if you like the Primitive look, her shop is a must stop for all your prim quilting needs. 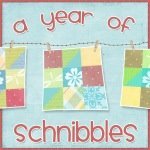 To sign up for the giveaway just go visit her blog and leave a comment HERE. To visit the shoppe, click on the button on my side bar. 1 comments on "New Beginnings..."
Look at what I got in the mail today!! !